In the configuration panel, it is possible to set a password on your LogTag. If you lose or forget this password, you will not be able to download the data from the LogTag. There is nothing you can do to retrieve the password on your own, however, it is possible for us to retrieve the password for you. If you have previously downloaded data from the LogTag and can email us one of your LogTag Data File (.ltd) files, we can use a special decryption tool to reveal the password. If you have never downloaded the data or do not have a LogTag Data File from the LogTag, you will need to send the whole LogTag back to use for decryption. We highly recommend that unless you have a very good reason, you don’t set a password. 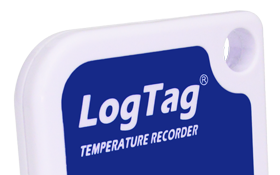 Does my LogTag need calibration?